For my first post of 2017, I'd like to share an excerpt from HOLLYWOOD HONKYTONK, my next full-length novel out Jan. 13 from The Wild Rose Press. 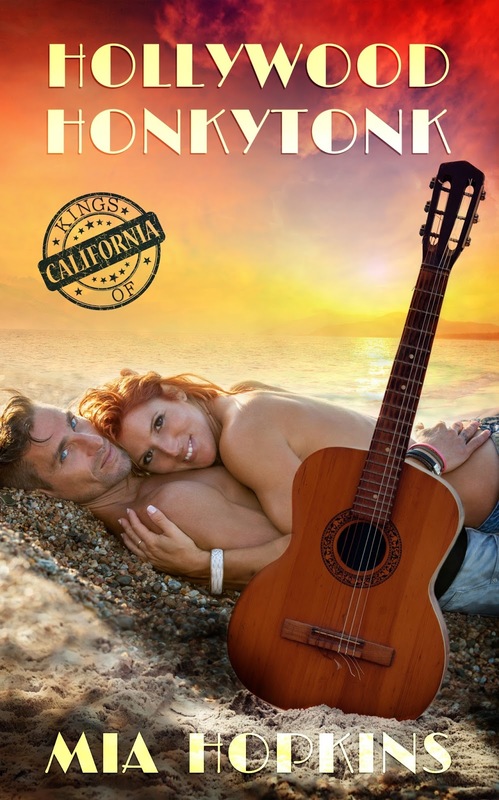 It's a standalone read, book two in the Kings of California series. Jack and Riley's story is sweet and spicy, a puff of cotton candy with hot sauce on it. What, you don't like your cotton candy with hot sauce? No...don't try it. I'm just kidding. HOLLYWOOD HONKYTONK is available for pre-order today. Check out the teaser below. “So, do you feel lucky?” she asked. Was she flirting with him? Or making fun of him? Or both? The breeze kicked up again. Jack caught her scent—herbal shampoo, almond lotion, and sun-warmed skin. He had never smelled anything so wholesome and appealing his whole life, and his body responded, stirring, tightening, hardening. He shifted his weight on the lounger, trying to get some control of himself while simultaneously trying to breathe in the essence of her, his high school crush, this glorious, ghostly woman come back to haunt him again. God, I want to be haunted by you again. He leaned forward a millimeter, testing the waters. She latched her dark eyes on him and parted her pillowy lips in invitation. Gently, so as not to spook her, he reached up, traced his fingertips across her cheekbone, and cupped her cheek in his hand. She shivered, staring at him as if he’d cast a spell on her. He leaned down farther and looked at her lips. With the pad of his thumb, he touched the tiny divot at the center of her cupid’s bow, stroking it gently back and forth. He had never touched anything so velvety soft in his entire life. Desire, lust, and adrenaline coursed through him all at once. His heart kicked like a racehorse against its gates.